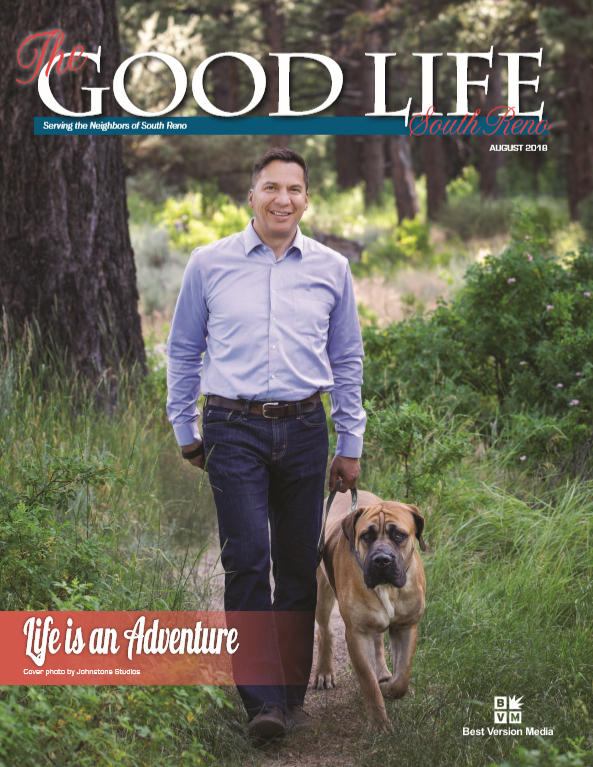 Check out the latest edition of The Good Life, South Reno featuring our very own Dr. Richard Perrin. He shares his impressive background as an international brain and spine surgeon treating patients with brain tumors, as well as neck and back problems. On top of that, he’s fellowship trained in both complex spine surgery and neuro-oncology which lends to his unique skills to perform minimally invasive surgery, pituitary surgery and radiosurgery. Dr. Perrin’s personal adventures around the world are a joy to read and his dog Obelix should be in the movies. We are proud to have Dr. Perrin in our Sierra Neurosurgery Group family and honored that he is here to serve the Northern Nevada community with his specialized neurosurgical expertise.